Actinomycin D reduced the in vivo labelling of liver RNA by tritiated methyl or ethyl carbamates. Fractionation of the RNA from mice injected 24 h previously with [3H]methyl carbamate, [2-3H]ethyl carbamate or ethyl [carboxy-14C] carbamate on MAK columns, sucrose density gradients and calcium phosphate columns or by polyacrylamide gel electrophoresis showed radioactive esters of cytosine-5-carboxylic acid to be present in the fractions where rapid RNA synthesis had occurred. This suggests that the cytosine-5carboxylates were synthesised from these carbamates, or their metabolites, before incorporation into RNA chains or that the rapidly labelled RNA was more susceptible to attack by a chemically active metabolite from the carbamates. There was a greater incorporation of the non-carcinogenic methyl carbamate than of the carcinogenic ethyl carbamate 24h after injection. The methyl ester also caused a more rapid breakdown of RNA than ethyl carbamate, ethyl and probably methyl carbamate also increased RNA synthesis. 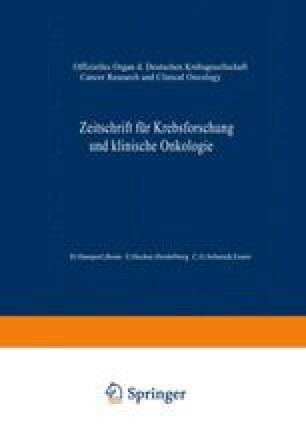 Leber-RNS von männlichen NMRI-Mäusen, die 24 Std nach Injektion von (3H)Methylcarbamat, (2-3H) Äthylcarbamat oder Äthyl-(carboxy-14C)-carbamat durch Phenolextraktion nach Georgiev gewonnen wurde, enthielt carboxyalkyl-markierte Methylbzw. Äthylester der Cytosin-5-carboxylsäure. Die in vivo-Reaktion der Carbamate mit Leber-RNS wurde durch Actinomycin D gehemmt. Bei der Fraktionierung durch Dichtegradientenzentrifugation, Polyaerylamidgelelektrophorese sowie Säulenchromatographie über Hydroxylapatit und Methylalbumin-Kieselgur wurde der überwiegende Teil der Aktivität (80%) in den Fraktionen gefunden, die neu synthetisierte RNS enthalten. Es ist deshalb anzunehmen, daß die Cytosin-5-carboxylate aus den Carbamaten oder ihren Metaboliten vor der Inkorporation in die RNS-Kette gebildet werden, oder daß die RNS in der Synthese-Phase gegenüber der Einwirkung chemisch aktiver Carbamatmetabolite empfindlicher ist. Das nicht carcinogene Methylcarbamat wurde dabei etwa 10fach stärker inkorporiert als das carcinogene Äthylcarbamat. Synthese- und Umsatzgeschwindigkeit der Leber-RNS wurden durch beide Carbamate etwa ihrer Inkorporationsrate entsprechend gesteigert.